I’ll admit, I’m not the biggest “hot beverage” consumer. However, when winter rolls around and it’s 30 degrees outside, I’m all for a big mug of hot chocolate! We usually make a batch of my homemade mix towards the end of fall, but this year I wanted to do something a little different. 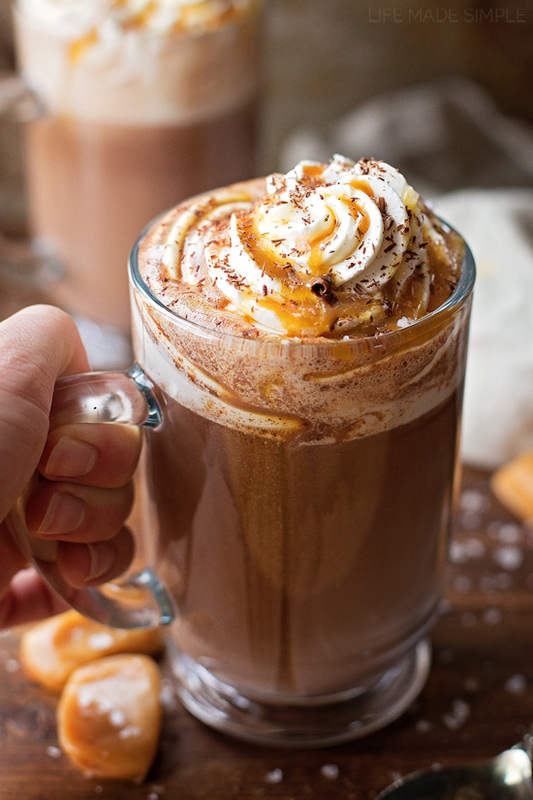 This salted caramel hot cocoa totally hit the spot. 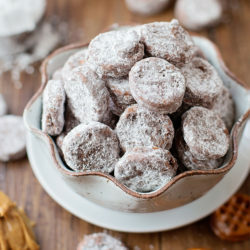 It’s chocolatey, sweet & salty- my three favorite things! ???? … and you definitely don’t want to skimp on the cream, or even worse, go without! Drizzle the top with a little extra caramel and and some chocolate shavings (or curls if you’re feeling fancy). Sip, stir & repeat. ???? I’ve fallen in love with this rich and decadent drink. It’s definitely going to be on repeat all winter long! Next up, candy cane cocoa! 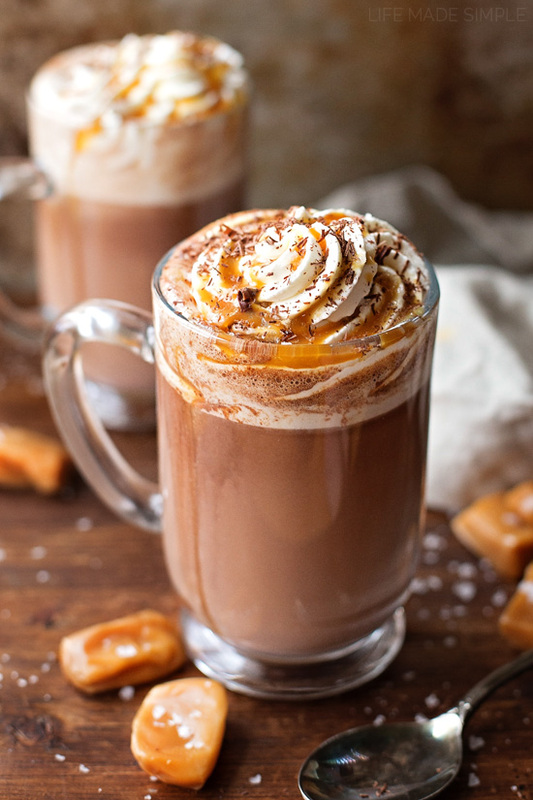 Whip up your own salted caramel hot cocoa at home with just 5 ingredients! 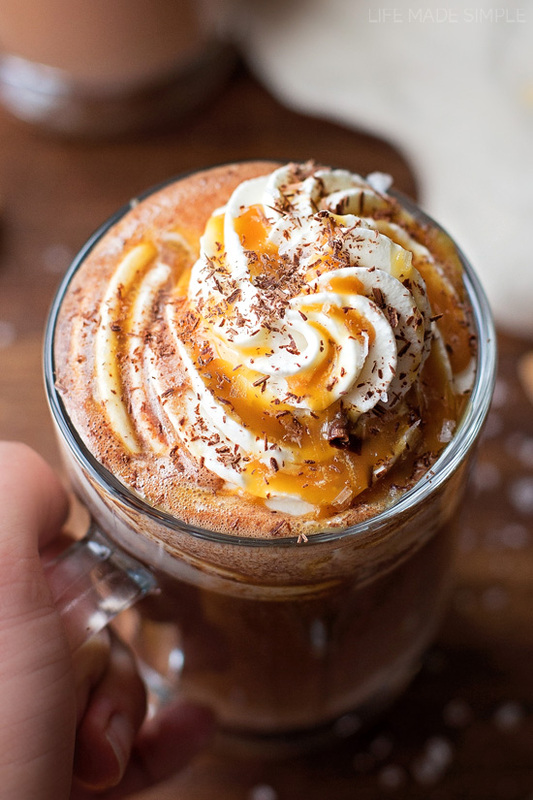 It's quick, easy and extra amazing with a big dollop of homemade whipped cream. In a medium saucepan set over medium heat, add the milk. When the milk is warm, add the chocolate chips and caramel. 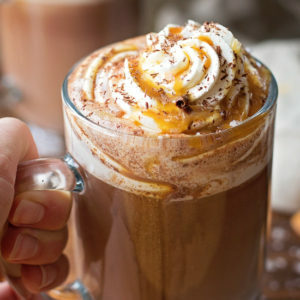 Whisk constantly until chocolate has melted and the caramel is smooth. Pour in the vanilla extract and whisk to combine. Remove from the heat and allow to cool for 5 minutes before serving. 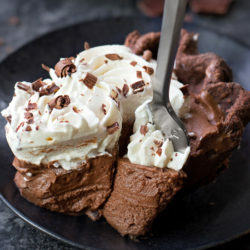 Top with whipped cream, caramel sauce and chocolate shavings, if desired. -Don't like dark chocolate? 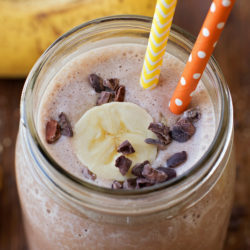 try swapping out the bittersweet chocolate for milk chocolate or white chocolate! YES PLEASE. 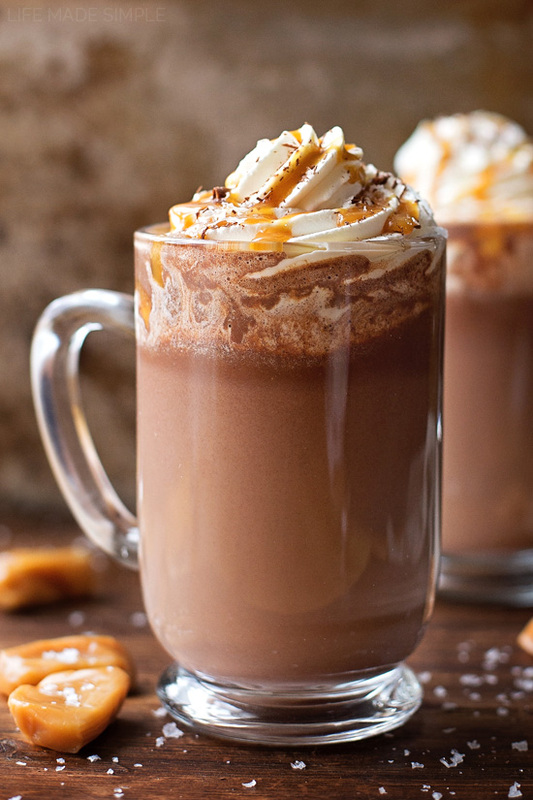 This looks like a fine specimen indeed of hot chocolate!